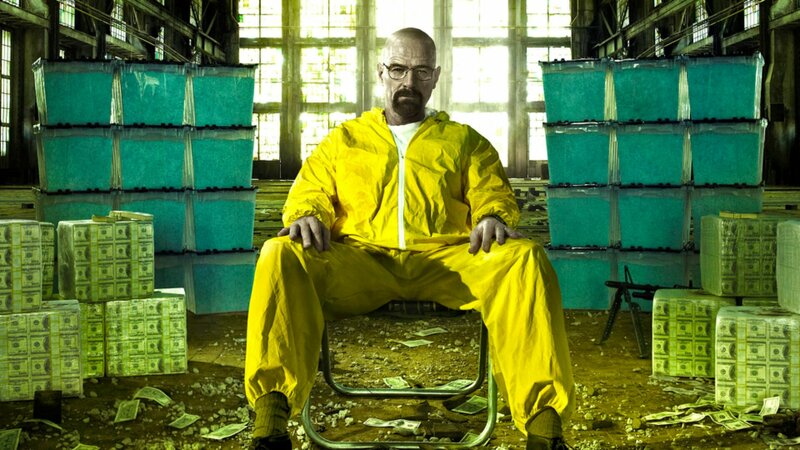 Having just finished watching the final episode of my latest favourite programme, Breaking Bad (several weeks late to the party as per usual), I can report that the season five finale did not disappoint. But whilst I’m sad to say goodbye to what has truly been eighty hours (eighty hours! Just think of all the useful things I could have been doing! Like writing decent blog posts for a start) of viewing pleasure (and sometimes also pain), I’m also rather glad to be getting my life back. You see, between working, writing, training for a marathon and planning an imminent holiday there just aren’t enough hours in the day to spare for televisual pursuits. Which is why it’s just as well this particular pursuit has now come to an end – and a good job the next one (season four of Game of Thrones) doesn’t begin until the Spring…. Goodbye Walt, I’ll miss you. Television addictions: We’ve all had them, right? 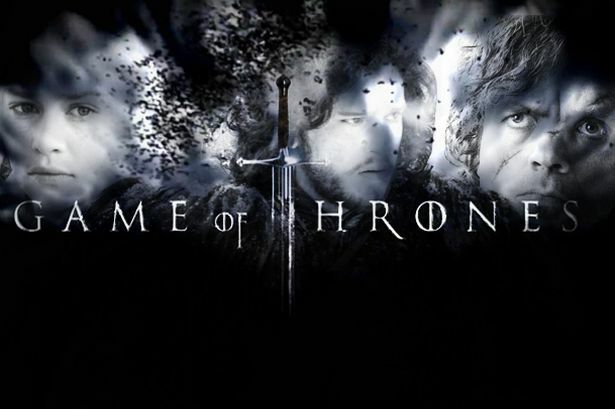 Whether it’s historical programmes like Downton Abbey, murder mysteries like Broadchurch, supernatural thrillers like The Returned or epic fantasies like Game of Thrones, in the world of television series there really is something for everyone. 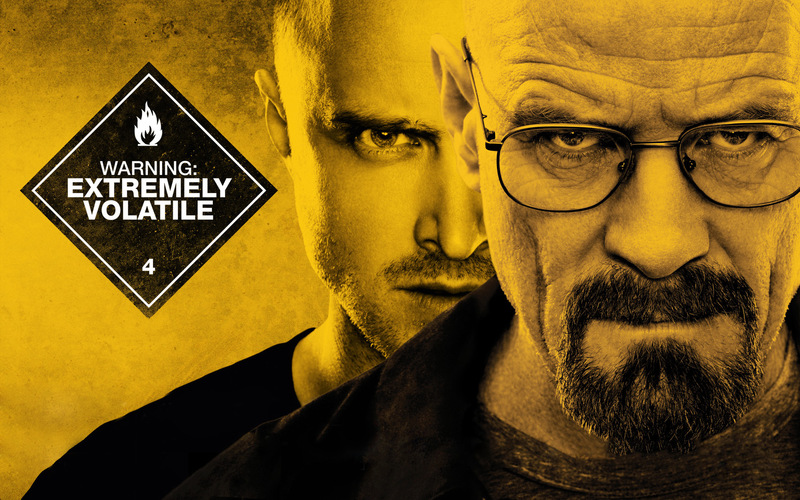 My current television addiction is Breaking Bad. As with previous TV obsessions – 24 and Lost being but two examples – I’m somewhat late to the party, only now reaching the final series when everyone else watched it several weeks ago. But irrespective of the timing, it’s true to say that once I’m into a programme it becomes an integral part of my life, and I can’t stop until it’s finished – simple as. That’s why I rarely, if ever, allow myself to watch more than one television series at a time. I learned from the first two series of 24 during my university years that it’s not socially acceptable to hole yourself up in your room for eight hours at a time and miss out on social engagements (most notably good friends’ birthday parties – but shhh, I didn’t admit to that) because you’re so desperate to find out what happens next in the programme you’re watching that real life pales into insignificance. And yet there’s something deeply satisfying about following a programme you enjoy, watching the characters as they grow and develop and observing the plot as it twists and turns in exciting and hitherto unforeseen directions. It’s much the same as being absorbed in a good book – a form of escapism, entertainment at its best. We three are not alone in our hysteria for the historical drama that’s taken the country by storm. I myself came to the party rather late, but through sheer diligence and the downloading assistance of my boyfriend (himself watching for the second time) have managed to catch up on all three series in under a month (if only I were that productive in all the other aspects of my life. But I digress). I’ll admit that TV dramas have taken a back seat in my life in recent years – the last time I got really excited about one was when 24 first came out, when I’m ashamed to admit I failed to attend a friend’s birthday party in order to complete a marathon viewing session of 12 back to back episodes – but if this one’s anything to go by I might just have to make some space in my life to fit them back in. Today, rather than write a fictional story or bore you with the woes of job hunting, I want to talk about chocolate; how it makes me feel, how it tastes in my mouth and generally the myriad ways in which I believe it improves my existence – because I really do. Take this afternoon for instance. I returned from a gruelling TEN MILE (impressed? Please be impressed) run and dragged my weary limbs into the shower, before dressing and resuming work at my desk. But something was missing. Ah, I thought, a cup of tea! For truly no afternoon of work can be complete without one (doesn’t it say that in the Bible or something? “And on the seventh day, God kicked back with a cup of PG Tips and observed all he had done.” No? Well it should do). No sooner had I made my tea than the feeling of something being amiss returned. Then it occurred to me how nice it would be to have a little post-workout treat as an accompaniment. I duly delved into my bag of Christmas treats and was distressed to find the box of Lindor chocolates which I had been systematically working my way through was – shock horror– empty. Fearing the worst I ran my hand around the inside of the bag. My hand settled on a small square box. As I pulled it out a wave of happiness washed over me, for it was not just any chocolatey treat, it was the Holy Grail of chocolatey treats: A Chocolate Orange. 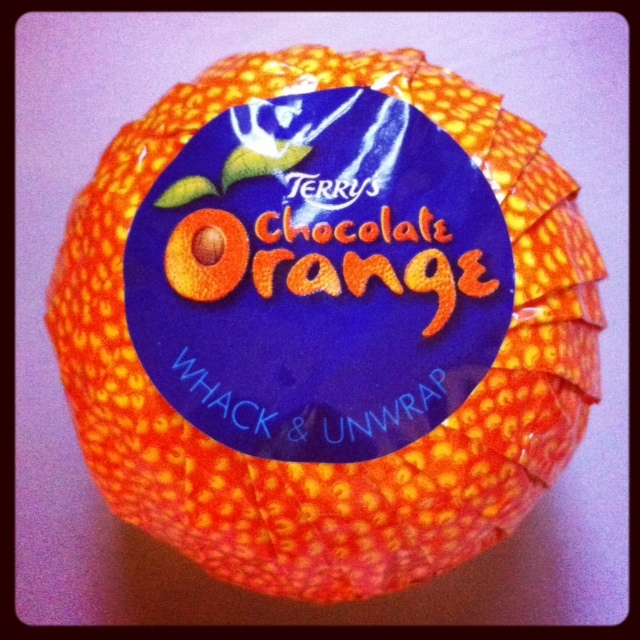 I know from an unpleasant previous experience that the Chocolate Orange should be savoured and not gorged upon. If you ate it whole in one sitting you would have consumed most of your day’s calories, and would most likely feel rather nauseous to boot. But dipping a few segments into a mug of steaming tea and letting them melt onto your tongue is an experience I defy anyone – other than those who are allergic to chocolate, don’t like chocolate, or who are allergic to or don’t like orange – not to enjoy. My adoration of chocolate doesn’t stop at Lindor and Chocolate Orange; far from it. I’m currently having a love affair with salted caramel in all its scrumptious chocolatey forms, and dark Lindt chocolate with sea salt is so divine it’s almost worth killing for (not that I endorse killing in any form, you understand). Dark chocolate with chilli is definitely worth a punt for the more adventurous aficionados. And don’t even get me started on Reese’s Cups – chocolate and peanut butter together? Dribble. I suppose in light of this obsession it’s easy to see why I was a chubby child. My grandmother used to cut up Mars bars in a bowl for me to eat, and mum would often bring chocolate éclairs (the fresh cream variety – NOM) when she came to collect me from school. Being the product of a broken home, I think she used such treats to assuage her guilt at my sibling-less, father-less, state, though in reality I was as happy as a sand boy stuffing my face and playing with my Polly Pockets. Fortunately after shedding the puppy fat and discovering exercise I managed to regulate my weight, whilst still occasionally indulging in my favourite treat. Over the years my habit has waxed and waned depending on my mood and situation. I wouldn’t say I use chocolate as a crutch, exactly, but I do find it comforting to eat every now and again – particularly after a bad day or a vigorous exercise session, when I can eat it guilt-free knowing I deserve it. “Everything in moderation” is a phrase I’ve used many a time, and never has it been more appropriate than when it comes to chocolate. There’s nothing I enjoy more than a disgustingly chocolatey dessert after a meal in a nice restaurant, but if I ate it morning, noon and night the pleasure would evaporate and it would no longer be a treat but rather something commonplace. We have a great relationship, Chocolate and I. But it’s a good job I’ve a half marathon to train for whilst I’m facing unemployment because, between you, me and the Mars bar, I think my consumption may just be on the rise. Now, where did I put that Chocolate Orange again?